This topic contains 12 replies, has 3 voices, and was last updated by David 4 years, 1 month ago. the assigned to do's are not being shown in the my tasks tab? using wp manager pro 0.5.4. We have already fixed this bug in our latest version which is not release yet. We are on testing environment. If you want then we can send you the fixed version to test. You can test the fixed version for us. Hi Nayem any chance I can have that updated, unreleased version too… My site is not showing any tasks for any user…bit of a problem. Provide you e-mail address. @sekander will send to you. Don't want my email on a forum… Where do I send it to? You can provide it in live chat. I still can't assign task to anyone else but me. So my tasks are displaying but i can't select any other users because the plugin can't find them. Hi Timothy I had the same issue However this isn't a glitch in the code rather a problem with the UI. When you create a project you have to add co-workers to it at the top level otherwise they cannot be selected within any tasks in the to do lists. I personally think this is an oversight from developers. 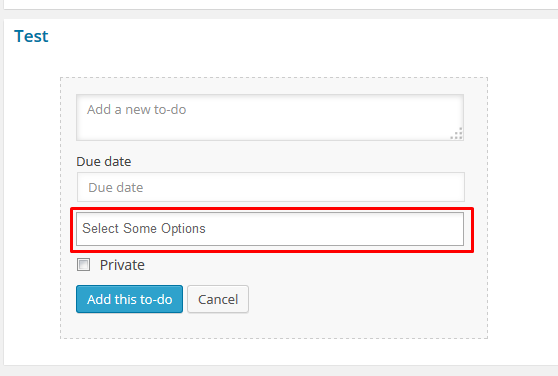 Just need to edit your project and add users in there then you'll be able to assign tasks to them within hat project. If possible developers it would be great to assign co-workers from whole user database when adding a new to-do list rather than only being able to select from those you've added to project. If that doesn't help you then sorry. Would not have figured this outon my own. When you will add a new to do list then you will get automatically a form to create sub task and you will able to add user there. You can not add user in the task, you have to add user in the sub task. If possible developers it would be great to add co-workers from whole user database when adding a new to-do list rather than only being able to select from those you've added to project. The topic ‘my tasks not assigning’ is closed to new replies.